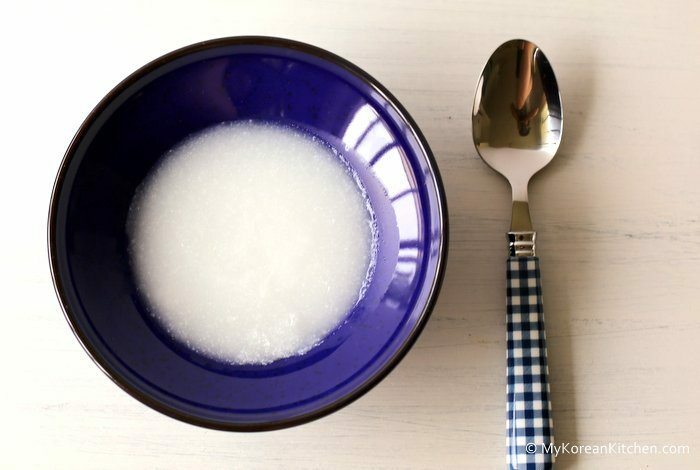 Korean rice porridge for baby. Only two ingredients are needed! In case you don’t know, I have a young baby who’s now just around 6 months old. She’s been exclusively breastfed until now and I thought it’s about time I introduce her first solid food. Her bottom two teeth are already half way up and she certainly has shown interest in other food by staring at it when I eat and also by trying to grab and reach out for my food. My mummy’s gut tells me that she’s definitely ready for it. For her solid food, I’m fully intending to feed her home-made food. More specifically I want to feed her so-called, “Korean baby food”. The food I grew up with and the food I perceive to be healthier than other (western) style of baby food in my mind. Well, for that matter, I really don’t have much idea on what is considered as western style baby food. 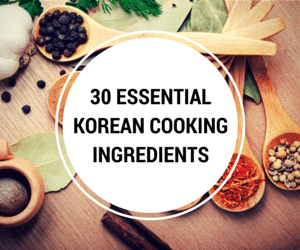 Because they can be prepared in a similar/same manner with similar/same ingredients as with Korean style baby food i.e. all finely pureed, soft and easy to swallow food for the babies. The first food I am introducing to my daughter is Korean Style Rice Porridge (Ssal-Mium, 쌀미음). The below ingredients gave me about 5 serving portions, so I packed them away in individual containers for later consumption. I hope your baby enjoys this food too! P.S. You might also like to try my Brown Rice and Pumpkin Porridge recipe! 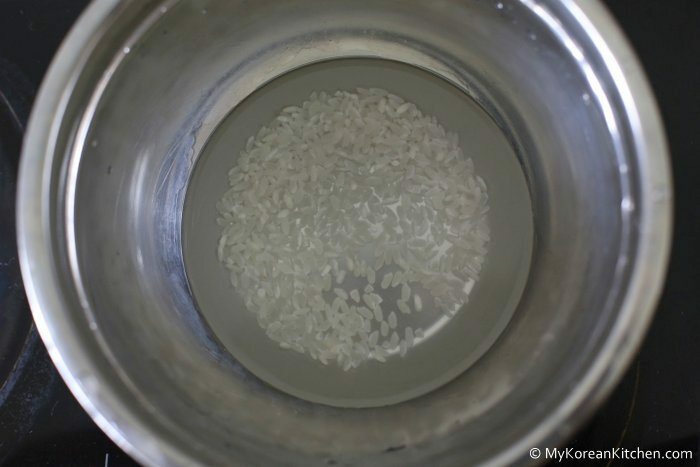 1.Wash/Rinse the rice in cold running water a couple of times. Soak the rice in some water for about 30 mins then drain the water off. 2. 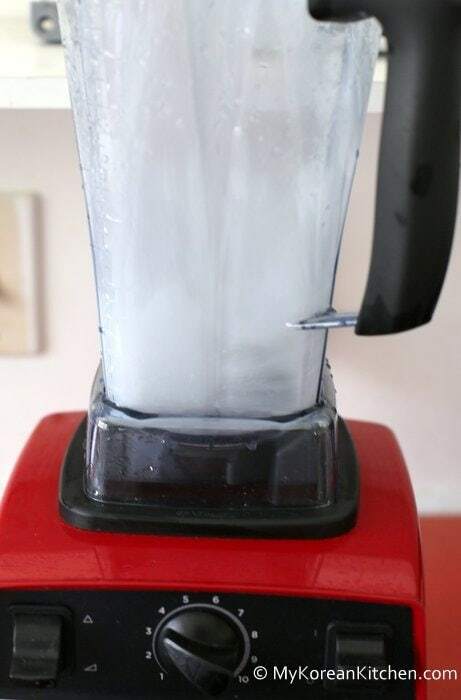 Pour 1 cup of water on the rice then pour the mixture into a blender. Blend it. 4.Sieve through the boiled porridge. 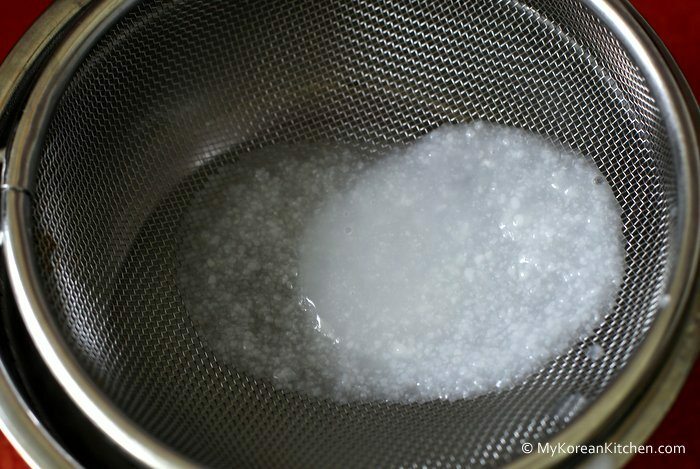 (Discard what is left on the sieve). Wash/Rinse the rice in cold running water a couple of times. 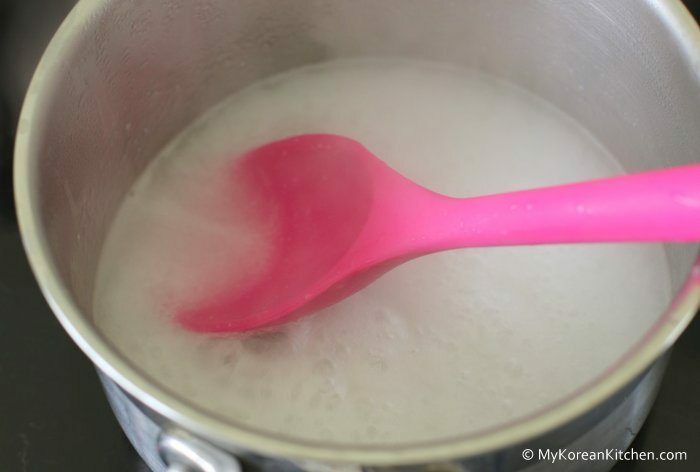 Soak the rice in some water for about 30 mins then drain the water off. Pour 1 cup of water on the rice then pour the mixture into a blender. Blend it. Sieve through the boiled porridge. (Discard what is left on the sieve). Thanks for this simple and completely doable recipe. As a new mom, I find it difficult to find time for anything except for when my baby is down for her naps/bedtime. 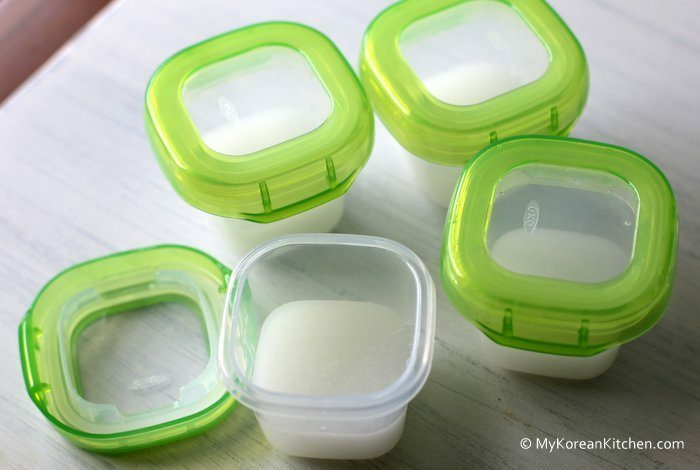 We got the green light from her pediatrician to start her on solids but since I know zip about Korean baby food, I decided to look it up and found your recipe! I will definitely be trying this out in a couple weeks. Hi Sue. 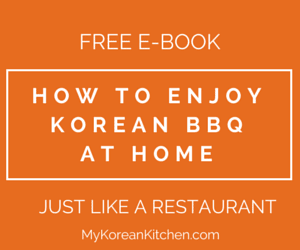 I just commented on your Facebook page about the Bibimbap recipe last night. I just found this section on your website. 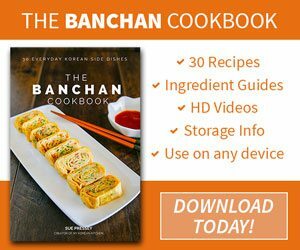 We have a 9 month old girl and like to feed her homemade foods that help develop her palate for different tastes and textures, especially “exotic cuisines” (I’m Cambodian but love to cook dishes from different countries and cultures). E.g. She is currently loving her lunch of cumin-spiced sauteed vegetables and couscous! I will be watching this section closely. Thanks for all your recipes. P.S. Your bubba is so cute! Hello, Sue, my baby girl is about ready to start on solids, and I wanted to find a home made rice cereal/porridge recipe, like congee. Most call for boiling the rice for hours and I just don’t have time for that. I was ready to go get some store-bought instant rice cereal, as I did with my son, but then I found your recipe, which looks like it can be prepared in a much more reasonable amount of time. Thanks! Question: did you use a jasmine/Thai rice or something more plain? And was this your baby’s very first food after breastmilk? It looks nice and thin and soupy, which should be perfect for a first semi-solid food. Can’t wait to try! By the way, I have the exact same food storage containers. Perfect for baby foods! Congrats on your adorable baby and successful blog. Hi, Sue! We tried the porridge for the first time this evening, using a white medium grain rice, and it went pretty well. I wanted to use breast milk to thin it out as needed, so I made the porridge with a little less water than the 250 ml called for in your recipe. But it turned out just as I wanted that way, like a slightly thickened broth, so we just went with it! My little Amira enjoyed it , and she will eat the other portions tomorrow (it made 3 portions). Yes, pumpkin/squash is one of the first — or maybe the first — vegetables we’ll try. We did acorn squash with my son, and he loved it. I think those kinds of gourds are not as sweet as some fruits, and not bitter like other vegetables, so they make good starter foods. Thanks for all the recipes and tips! I know! Time really flies. I think I’m just barely keeping up with it. 🙂 Thanks. Oh, our baby girls have like the same age, mine is 6 months, too. 🙂 Congrats on Ara! 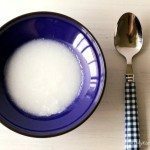 This rice porridge might be a good first food, thanks for sharing, I will try it! Yes, she really did. She ate it for the last 3 days and seemed to be really pleased. 🙂 I’m looking forward to se more baby food on your site. Awww congrats on Ara! She’s SO adorable!!!!!!!!!!!!!!!!!! It’s been 6 months already?! Wow time flies! Congrats on the first solid food Ara. 🙂 She’s going to be a foodie, and a great cook after mommy’s gene. 🙂 I went through the same porridge stage with my kids. Enjoy every moment with her… they will grow up WAY TOO FAST! 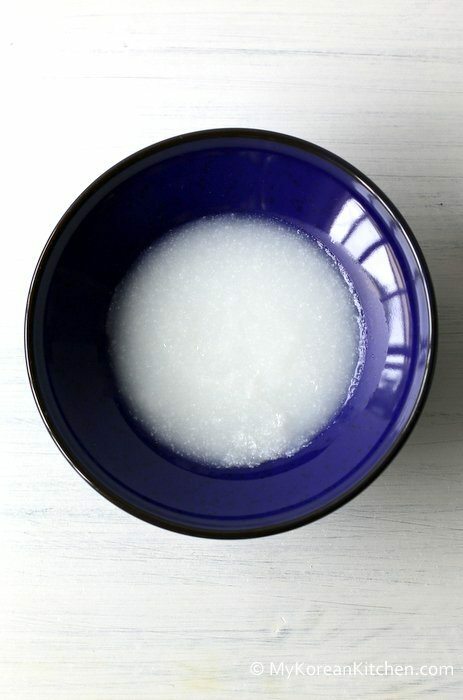 Hi Sue, your rice porridge is similar to the Chinese congee. 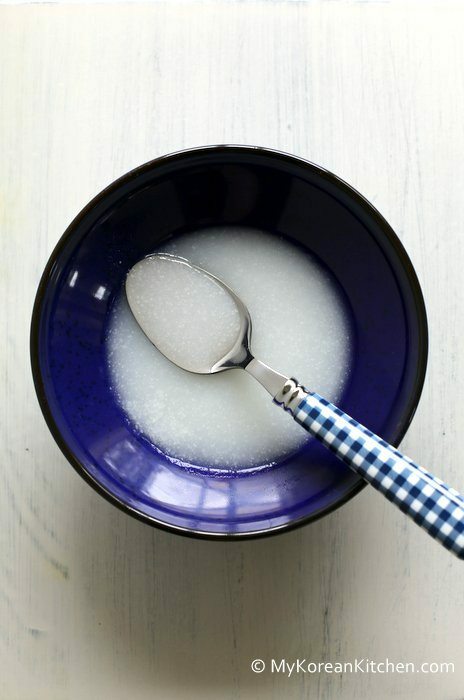 When my kids were first introduced to solids I gave them rice cereal from the can. Then I started cooking them rice porridge with chicken meat, carrot and dried anchovies (the Asian anchovies) until they are soft. Then blend them into very fine porridge. They loved it and it was easy. All the best with your baby. Thanks Veronica for sharing your tips. I think the baby food seems universally similar. 🙂 You’ll see lots more from my blog soon. I started feeding my kids around 5 mon. with oatmeal and rice then every week at 6 mo i would add cooked and mashed veggie or fruit with it. Porridge is def great way to introduce a baby to new food and look at her, she is enjoying it! Great post!! !